P3 Advisors brings a combined experience of over 30 years turning sites with complex development issues into productive assets. The team carries significant technical experience, strong public-private partnerships, corporate real estate prowess and executive entertainment industry leadership. Over the course of the team members’ careers, they have consistently structured redevelopment deals that merge practical strategy with insight to optimize use of the property and create win-win solutions. Scott brings significant technical expertise securing and implementing public private partnerships around compromised brownfield properties across the country. His partnerships include a Master Developer agreement with the Village of Mundelein, IL that has been highlighted by the Urban Land Institute as a particularly unique and creative approach to suburban infill brownfield and transit-oriented development. Most recently and as a co-founder of P3 Advisors, he is directing the assessment and remediation of a former municipal waste landfill in association with a 65-acre mixed use development in Colorado. Prior to his success with public private partnerships, Scott held a number of positions with Weston Solutions, Inc. There he managed large private sector and government contracts providing a wide range of technical and construction-related assignments. He was instrumental in growing the Midwest operations of Weston from a $10M per year operation to a $120M per year operation during his tenure. Shawn is an inventive, forward-thinking real estate developer, adept at bringing a mixed use vision to brownfield sites. His ability to ideate around a project, build relationships with end users and selectively package information into an executable plan has made him a leader in Public Private Partnership developments. His experience as a lifelong entrepreneur brings a broad business knowledge and strategic relationships to the P3 team. Hampton is a real estate professional with experience in government relations, transactions, strategy and development. Prior to his work with P3, Hampton spent two years at Bank of America in Charlotte, North Carolina, where he worked as AVP in the bank’s Corporate Real Estate group. His experience includes five years working on the rebuilding of New Orleans following Hurricane Katrina, where he was a lobbyist for a trade association and Director of Operations for a non- profit homebuilder. 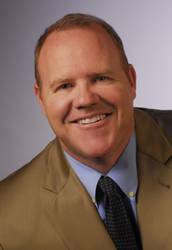 His development experience includes projects with Zapolski Real Estate in Napa, CA and Clarksburg, CA. 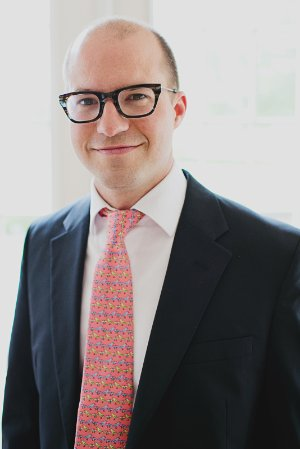 He is a graduate of Washington University in St. Louis and the University of North Carolina’s Kenan-Flagler School of Business, where he received his MBA with a focus in Real Estate Finance. Dave brings a wealth of experience in the gaming and entertainment industry to the P3 advisors team. His executive leadership experience began at Caesars World, Inc. where he served six years; first as Chief Financial Officer and later as Executive Vice President. Following Caesars, he joined Harrah’s in Atlantic City as President. From Harrah’s he became Chief Executive Officer at Merv Griffin’s Resorts International in charge of properties in Atlantic City and the Bahamas. After his period as President and CEO of International Game Technology, he joined Rio Suites Hotel in Las Vegas as President and Chief Operating Officer. For five years, he served as Chief Executive Officer at Empire Resorts, Inc. in Monticello, New York. Later he became a developer and consultant to various gaming, hospitality, technology entertainment companies. He is a graduate of the School of Hotel Administration at Cornell University. Following his time as an Officer in the US Army, he graduated from the University of Pennsylvania’s Wharton School with an MBA in Finance and a MS in Accounting. He later attended the Advanced Management Program at Harvard Business School.